Darrius Bratton was an under-the-radar recruit when he attended William Fleming High School (Roanoke, VA). He was under-the-radar when he attended Fork Union Military Academy (VA) as a postgraduate in 2016. 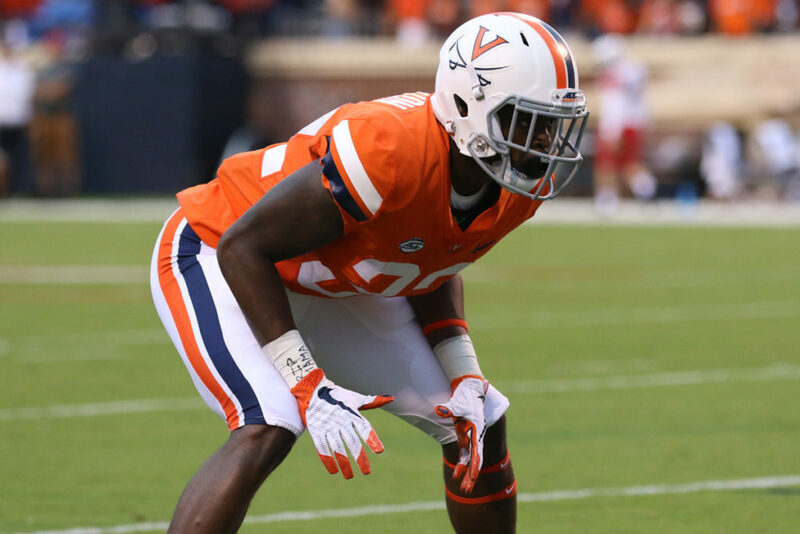 In both cases, the University of Virginia cornerback had 2-star rankings from national recruiting outlets Rivals and 247Sports.com. Bratton may not have arrived in Charlottesville with much fanfare, but he is certainly earning his place in the spotlight. In 2017, he was one of 17 true freshmen to the see the field, playing in nine of UVA’s 13 games. Bratton has kept working and improving, catching the attention of coaches and teammates alike with his progress this spring and summer.